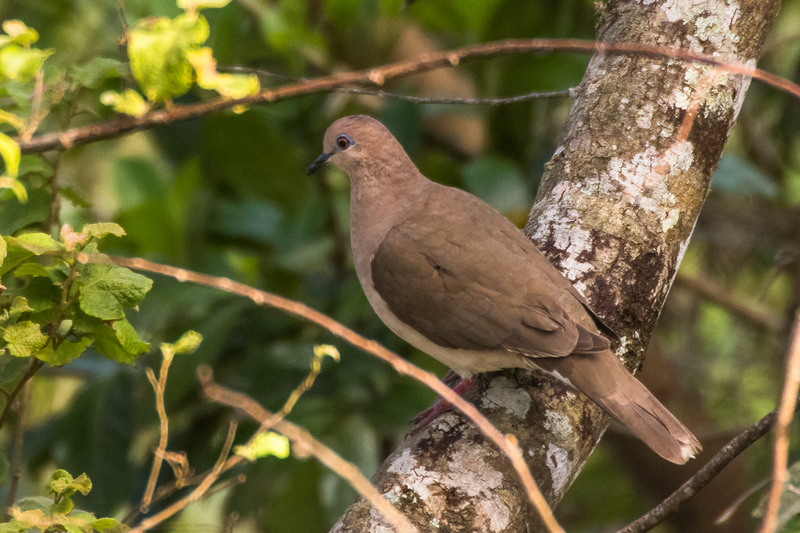 The white-tipped dove resembles the closely related grey-fronted dove (Leptotila rufaxilla), which prefers humid forest habitats. The best distinctions are the greyer forehead and crown, which contrast less with the hindcrown than in the grey-fronted dove. In the area of overlap, the white-tipped dove usually has a blue (not red) eye-ring, but this is not reliable in some parts of Brazil, Argentina, Bolivia, Paraguay and Uruguay, where it typically is red in both species.